OLLY Endless Energy Review | Ingredients, Side Effects, & Results! OLLY Endless Energy is a vitamin and energy supplement in the form of a gummy, that will put a spring in your step whatever you are doing. Claiming to help supercharge your day, this supplement contains vitamins and caffeine to create an active blend that keeps you going all day long! We investigate OLLY Endless Energy to uncover the ingredients, side effects, and results to expect. No comments Page updated Apr 5, 2019. First published Mar 23, 2019. OLLY Endless Energy is a gummy sweet you chew whenever you need mental energy and focus to supercharge your day. This sounds great, but does OLLY Endless Energy really deliver on these claims? Let’s take a look and find out more. OLLY is a supplements company operating in the USA where their products seem to be increasingly popular. The company specialises in gummies for a range of purposes including multivitamins and children’s health. 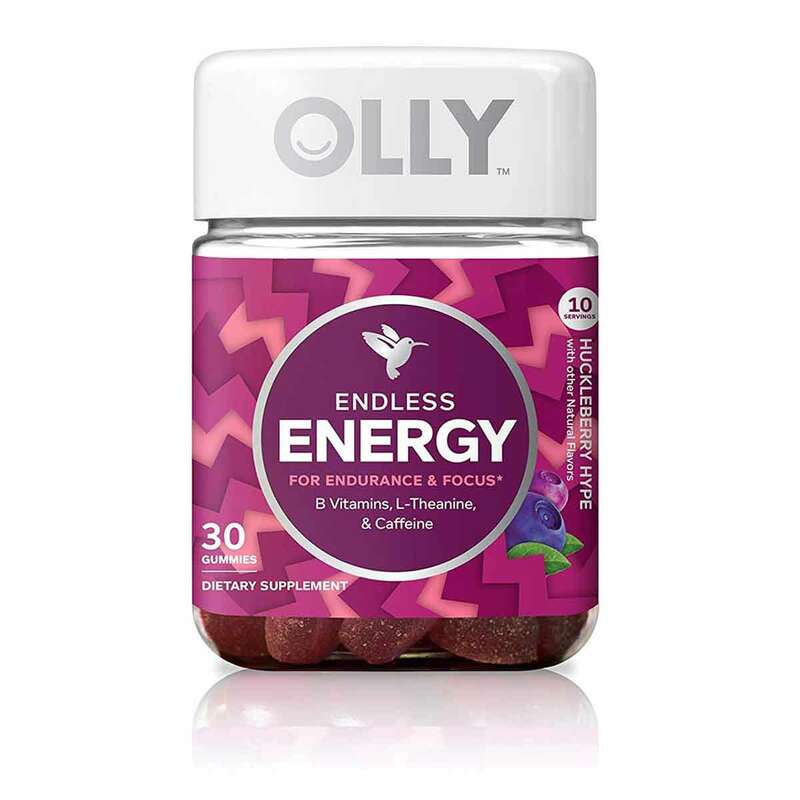 OLLY Endless Energy is a vitamin and energy supplement in the form of a gummy (chewable sweet). It is available in a choice of two flavours; Huckleberry Hype or Lemon Zinger and although opinion is always divided on matters of taste, many customers have complained about these particular flavours as well as the consistency of the gummies. Each tub of OLLY Endless Energy contains 30 gummies. This sounds reasonable until you realise that each serving is equal to 3 gummies, so only adds up to 10 full servings per tub, making this supplement quite expensive. OLLY Endless Energy contains caffeine as the principle energy enhancing ingredient and although some customers have claimed to notice the energy-boosting benefits, effects will largely depend upon your own physical makeup and caffeine tolerance. What are the side effects of OLLY Endless Energy? OLLY Endless Energy looks to be very safe for most people. However, a couple of customers have reported side effects such as sleepiness and increased anxiety. Other potential side effects may include insomnia, jitteriness, and headaches. L Theanine is known to cause vivid dreams in some users if taken too close to bedtime. How much does OLLY Endless Energy cost? OLLY Endless Energy is expensive. Although it costs only $13.99 if you buy directly from the OLLY website, the 30 Gummies in each tub are only enough for 10 servings. If you subscribe to the company’s quarterly auto-ship option, 3 tubs cost $35.97. OLLY ship only within the USA, with shipping to Alaska and Hawaii taking around 6 weeks. Shipping costs are not disclosed. You can also buy OLLY Endless Energy from other outlets including Amazon for the same price. We all run out of energy sometimes. When this happens we should probably take a nap, but instead, we usually turn to a coffee or an energy drink to power us through. OLLY offers a third alternative with OLLY Endless Energy which is a gummy, or chewable candy, that the advertising says will put a spring in your step whatever you are doing. OLLY Endless Energy is available in two flavours: Huckleberry Hype of Lemon Zinger. Serving size is equal to three gummies which is probably good because as we all know, it can be difficult to stop at one sweet! Each jar contains 30 gummies which are just 10 servings. OLLY Endless Energy contains vitamins and caffeine. The caffeine content is just under the equivalent of a cup of coffee, so should be noticeable. The gummies also contain L Theanine – an amino acid that can improve feelings of calmness and mental energy. The final component is N Acetyl L Tyrosine which again, may improve mental energy. Check out the ingredients tab to find out more. They look like sweets. What is there to stop you eating the whole canister if you enjoy the gummies? Why should taking vitamin supplements need to be fun? 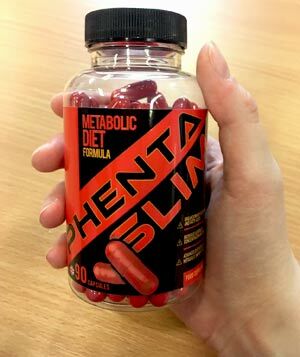 This is a supplement aimed at adults and not children? OLLY is a youthful fun company, according to the “about us” information. The supplement range is all about inner health and wellness, and the company is fully engaged on social media. OLLY supplements are on sale from retailers including Walgreens, Safeway, and Amazon, as well as the official website. Other OLLY supplements include a vitamin range aimed at children, also in the form of gummies. There are snack bars, protein bars, multivitamins, and more. We have covered OLLY Slim Protein Powder and OLLY Probiotic + Prebiotic in previous reviews. What does OLLY Endless Energy claim to do? There is more information on the Amazon, although apart from naming some of the ingredients, it does not really tell you much! However, the focus is on healthy vitamins and fun! THE GOOD STUFF YOU NEED: Essential nutrients are important for your overall wellness, but getting your daily recommended dose can be tough. OLLY gummy supplements make it easy, delicious, and fun. Does OLLY Endless Energy work? This supplement is not going to give you endless energy! Effects will largely come down to your own physical makeup, and whether or not you enjoy chewing the gummies and the flavour. If you already drink caffeine, the energy enhancing effect may not be very noticeable. However, the L Theanine content is high when compared to black tea (where it often only contains 20mg per serving), so you may find that the chewing sensation combined with this amino acid helps to calm you down and focus. That said one customer said it made her feel sleepy. N Acetyl L Carnitine has been tested on people and it may have numerous benefits such as improved mental energy, memory, and loss of fatigue, especially in the elderly. However, serving is inadequate here when compared with the 1500mg – 4000mg serving size studied in scientific research. Serving size is equal to three gummies. The information here is per serving and not per gummy! Vitamin B1 (0.15mg): Vitamin B1 or Thiamine is present in foods such as yeast, cereals, nuts, and grains. Thiamine Hydrochloride as used here is the supplement form of Thiamine. B1 plays an important role in energy metabolism and cell health. The RDA for adults is around 1.1mg, so this supplement contains 10% of daily intake based on a 2000 calories daily diet. Vitamin B2 (0.17mg): Also known as Riboflavin, and important for many bodily functions including digestive health, skin, and more. Here at 10% of RDA. Vitamin B6 (0.2mg): Also known as Pyroxidine, B6 is important for the nervous system and brain health. Here at 10% of the RDA. Folic Acid (40mcg): B vitamin that is important for healthy DNA (the reason it is taken by pregnant women). It is also important for many bodily functions. Folic acid is present in many foods including vegetables, fruit, and it is also added to foodstuffs such as bread and pasta. Here at 10% of the RDA. Vitamin B12 (0.6mcg): Vitamin B12 is essential to the body and is only obtainable by diet. It is present in animal-derived products such as meat, fish, and dairy, so deficiency can be common in people with restrictive diets such as vegetarians and vegans. It is important for many purposes including brain function, healthy blood cells, and the nervous system. Here at 10% of RDA. Pantothenic Acid (1mg): Also known as vitamin B5, this is in the form of calcium d Pantothenate, the form used in supplements. Important for healthy skin and hair. It is sometimes taken to treat acne. Here at 10% of RDA. N Acetyl L Carnitine (100mg): L Carnitine is an amino acid obtainable from food as well as made in the body. It helps the body convert fat into energy and it is important for brain health. N Acetyl L Carnitine is a processed form of L Carnitine and is used for improving mental function and memory. In this form, it can cross the brain’s blood barrier. Testing has suggested it can improve depression and elderly memory loss. L Theanine (100mg): L Theanine is an amino acid which is present in tea. Evidence suggests it reduces stress levels and leads to a calming yet mentally energizing effect. If you enjoy drinking tea you will probably know this is true! Caffeine (60mg): The world’s most popular stimulant and great for giving you a quick energy boost, although effects do wear off with use. The average cup of instant coffee contains around 100mg per serving, so serving size shouldn’t cause too many side effects. However, if you drink a lot of coffee you may not notice! Side effects should not be an issue for most users. However, some customers have mentioned that the gummies made them feel sleepy, and a non-coffee drinker mentioned that it made her feel anxious. L Theanine is known to cause vivid dreams in some users. Caution: Not suitable for individuals under 18. Do not take if you are pregnant or breastfeeding. Speak with your doctor before using if you have an underlying mental health condition. We looked on Amazon where there are around 53 reviews at the time of writing. Opinion is split pretty evenly between customers who love this supplement and those who hate it! Love how much energy they give me. I work twelve hour shifts and I have them as a pick me up in the middle of it. They really work! Not bad tasting either! I only eat one (says to eat 3!) and it’s plenty. You will definitely feel an increase in energy. Seems to last a long time too; maybe 6-8 hours. There are many complaints about the flavour. Horrible! I can’t tolerate the taste at all. I tried 3 separate times and just cannot stomach the flavor. I’ve tried other OLLY products and they are typically a good choice. I didn’t care much for these. The gummy is quite large, and chewing it (while soft) gets a little gross to me. … I have had no noticeable effect from taking these. My energy level has not increased as I had hoped…. A little bitter but you get used to it! I look forward to taking them as my afternoon “fix” and won’t keep me up all night like coffee and less sugar than a cola! Plus the other vitamins do seem to help too. I feel alert AND calmed all at the same time. There is no money-back guarantee on offer. You can buy OLLY Endless Energy direct from the OLLY website. It is also on sale in some stores across the USA including Target and Walgreens, and from many online retailers including Amazon. OLLY Endless Energy is marketed as a vitamin/energy supplement, but neither function looks to be very effective. The vitamin content is low when compared to most conventional supplements in pill form, and the endless energy aspect seems to be massively overstated with less than the equivalent of one cup of coffee per serving. That said, we can see the point of this supplement. Sometimes we all need to take a bit of time out and having a break, and chewing through the three gummy serving may give you a slight lift. The vitamin content is quite low but at 10% of your daily requirements, is not going to do you any harm and will help add to your dietary intake. We are not very keen on the price. This supplement is expensive and if you like it, you are going to have to buy a lot of tubs! With each container only enough for 10 servings, this seems inconvenient and not very good value. Finally the flavours. A lot of people enjoy OLLY Gummy products, but Endless Energy is not getting the same positive reaction. Some users have liked it of course, but many say it is practically inedible. With no money-back guarantee, you cannot get your money back if you are dissatisfied. Overall, OLLY Endless Energy is not good enough to recommend to the Watchdog readers. How does OLLY Endless Energy compare to Phentaslim?